DESCRIPTION FROM THE PUBLISHER: A comprehensive guide to the solar system accompanied by mesmerising photography and intricate illustrations. 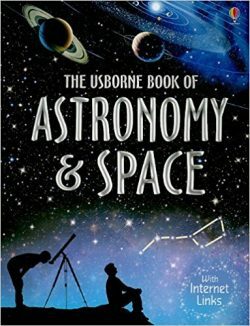 Children can learn about star groups, explore space and follow the Usborne Quicklinks to find out more. A great book to dip in and out of, for homework and for pleasure.